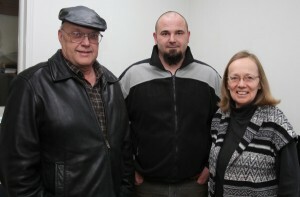 Our Well-Experienced Team – Paul Lahti, Erik Siirtola, and Lani Siirtola – has over 50 years combined experience. Siirtola Well & Pump is located in the heart of the Keweenaw Peninsula and has been serving Michigan’s Western Upper Peninsula for over 50 years with well drilling and pumping systems sales and service. We serve Houghton, Baraga, Keweenaw, Ontonagon, Gogebic, and Iron Counties. A water well is one of the most important investments you will make in your home or business, but because you cannot see what is underground, well construction may seem a mystery. 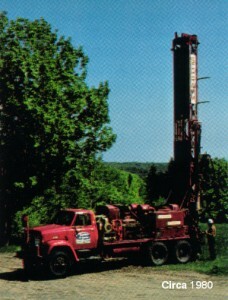 We can explain the well drilling process and can answer your questions. If you are purchasing property or an existing home or building a new home we can advise you regarding the availability of water in the area. The Department of Public Health requires a permit to drill a well. We can help you with the permitting process. Applications can be downloaded here or we can provide them to you by mail. Please feel free to contact us for estimates regarding well drilling and pumping systems or for questions related to servicing your well and pumping system. Siirtola uses fast, efficient hammer drilling. Air hammer drilling, also known as down-hole drilling, uses a pneumatic hammer at a high rate of speed to generate water-bearing cracks and fissures in consolidated (rock) formations. Once the well is drilled, you will need a pumping system to move the water. Siirtola Well will install a complete pumping system. Hand pumps are also available for locations without electricity. A properly installed pumping system will give years of dependable service. Siirtola Well services all brands and type of pumps. We have an inventory of pumps, pressure tanks, pump parts, and accessories available for purchase. Michigan State law requires abandoned wells to be filled. 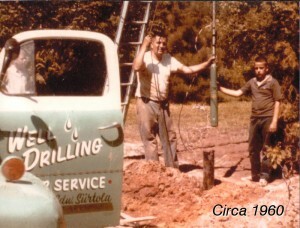 Siirtola is trained and licensed in the multiple methods required depending on the type of well. Hydro-fracturing is a well development process that could improve low-yield wells in bedrock formations. Geo-thermal drilling enables efficient heating and cooling. Fluid is routed through vertical or horizontal tubes. We’d be happy to talk to you about your special needs. If using the form, please be sure to enter your email address correctly so we can get back to you.